Every so often, I like to treat myself. I’ve been looking for some good products for everyday make-up. Let’s see all the goodies. Now that I have a new job, I’ve been exploring a new everyday make-up routine. Something every natural and sleek, but doesn’t take forever to do in the morning. 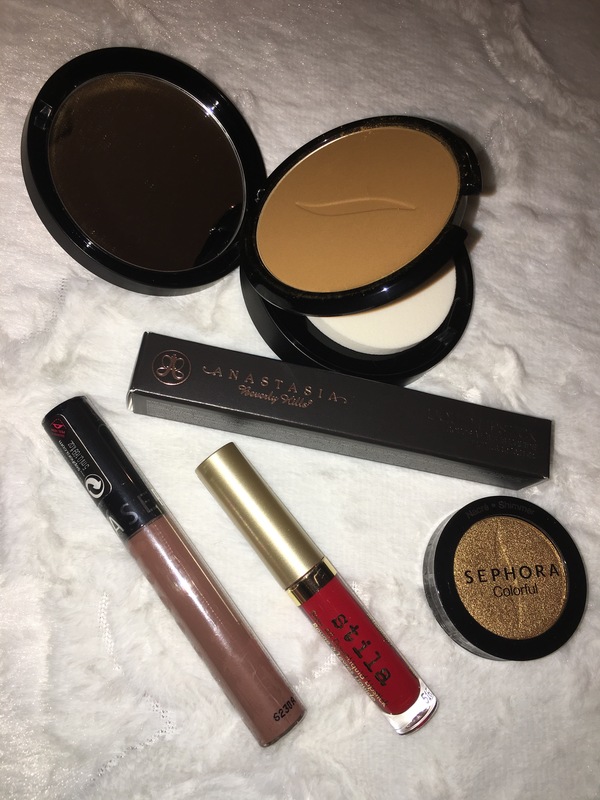 I took a little shopping trip to Sephora, MAC, and ULTA to find some natural essentials. For a few years now, I have been using the Mac Studio Fix Fluid Foundation. It works well for me. Before this, I was using the creamy full coverage foundation from Mary Kay. The creamy foundations were discontinued and I didn’t want to use the powder. 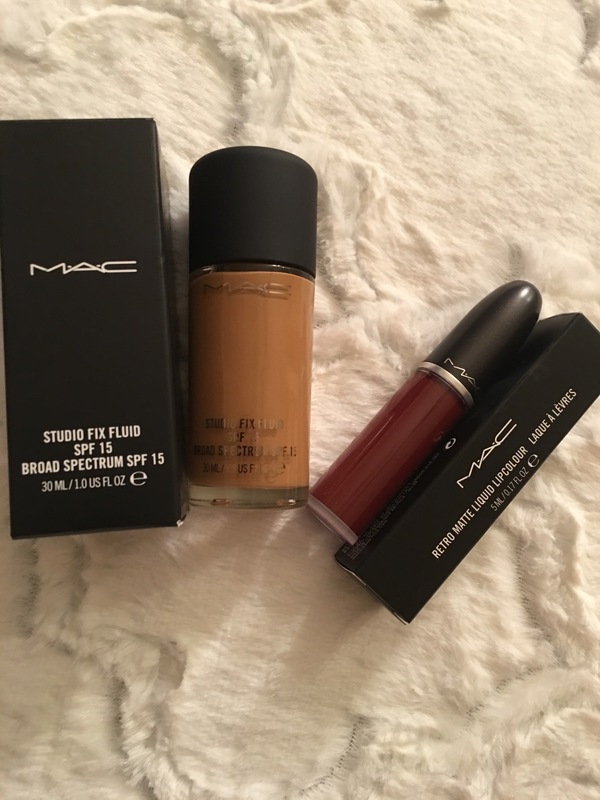 I started using the Mac Studio Fix in NC 45 but I think it’s too light for me now so I went started getting the the, Mac Studio Fix Fluid SPF 15 NC46. Liquid lipsticks have become my super powers. I only have one liquid lipstick from mac, so I added Mac Liquid Lipstick -Carnivorous to my collection. Although I love the smooth touch of a liquid foundation, I also like to use powder. The Sephora brand works light and soft. My old one is super low and I picked up the Sephora Matte perfection powder foundation (60) warm toffee. This is not the orginial one I started using. I think its new so I cant wait to use it in my morning routine. Back in July, I started a eyeshadow palette with Sephora. So far I have three colors. I could fill the pallet completely up at once, but I rather fill it up over time. Little by little I like to add a different color that I want to wear for upcoming events. For my everyday look, I wanted to put a little shimmer in my life so I added the Sephora shimmer colorful Girl Night Out N216. Because I has some points stacked up, I went ahead and spent 100 pts on the Stilla Stay all day Liquid Lipstick- beso. I don’t have a red lipstick. I like natural colors, nothing to bold. I personally think red is to bold for me. But I decided to give this pop of red a try- since it was free. I currently use the LA Girl concealer to highlight my face and cover the freckles. I used to know how to cover my freckles perfectly. But now I can’t seem to cover them and highlight flawlessly. So I want to try another concealer- I picked up the ULTA Full Coverage Concealer (waterproof) Deep Warm. 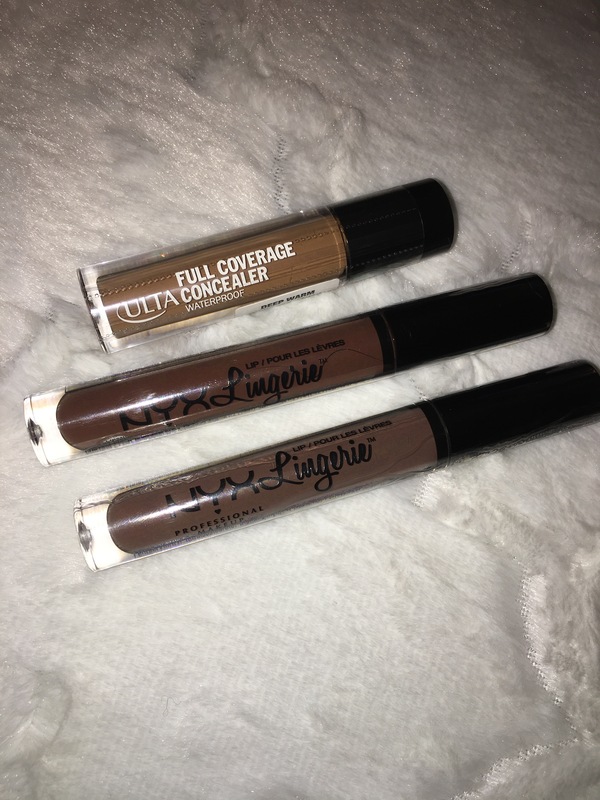 I went into ULTA to actual pick up some NYX Lingerie Liquid Lipstick. I love NYX!!!! I need a few natural everyday lipstick options, so I picked up Honeymoon and After Hours. If you have any make-up tips or products you like using, please share!